Are you looking for a classy and personal gift? Our engraved pocket watch certainly fits the bill. This beauty will be skillfully engraved with any name or initials (up to eight letters) on the outside and a five-line custom message (up to 12 characters per line) on the inside. Wonderful as a unique groomsmen gift, Father's Day gift and more. 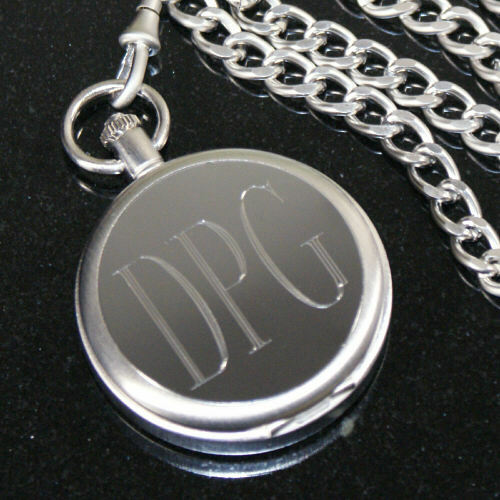 Your engraved pocket watch will truly be a timeless keepsake. Hinged pocket watch on a 12" chain. Bought as a gift and haven't given it yet but I absolutely LOVE IT! The quality is wonderful for the price. 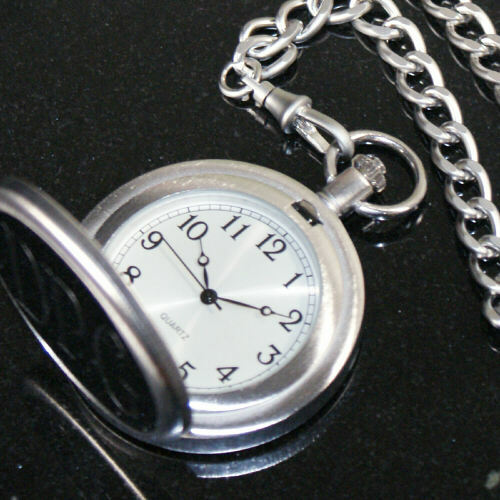 I have never used this website before and the quality of this pocketwatch is amazing! So excited to give this to my boyfriend! Beautiful! It was exactly as l ordered. I love it! And my husband will too! !